New to the Hygienics family! 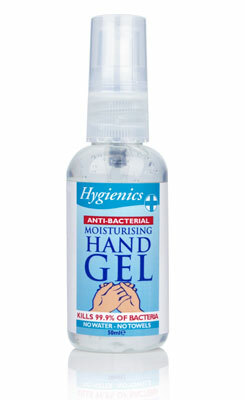 The brand new Hygienics 50ml hand gel is perfect for use on the move. Its compact size makes it easy to slip into handbags, coat pockets and brief cases, and provides you with peace of mind thanks to it's alcoholic antibacterial formula, with the added benefit of moisturisers, ensuring your hands are kept soft and smooth.